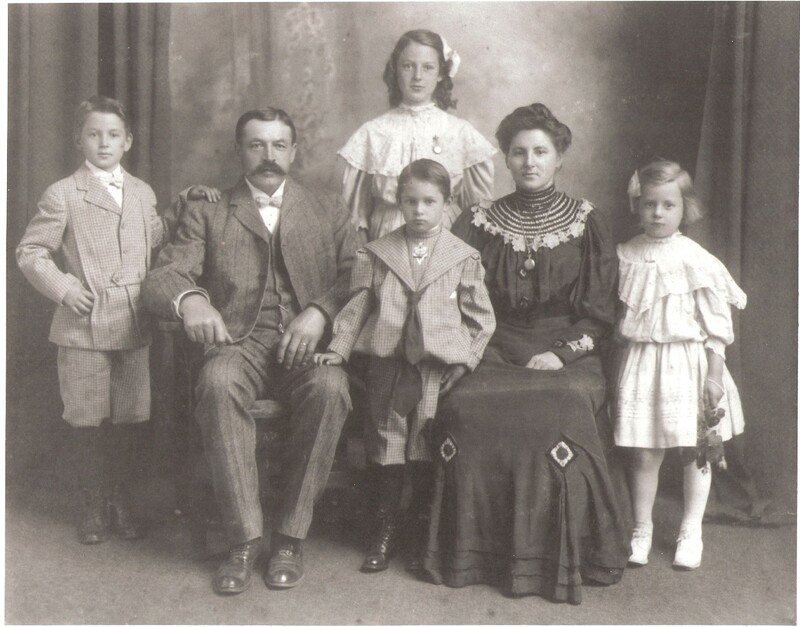 This is my husband’s 2nd great grandparents and their children. 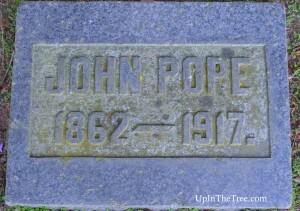 John Pope(1862-1917) and Catherine Offerman(1865-1932) had four children: Louise Anna (1895-1961), John Rudolph (1899-1918) , Claus Alfred (1901-1971) and Elfrieda Johanna(1901-1990). I am making an educated guess when this photo was taken by the age of the children. Pope Family taken about 1905-1908. 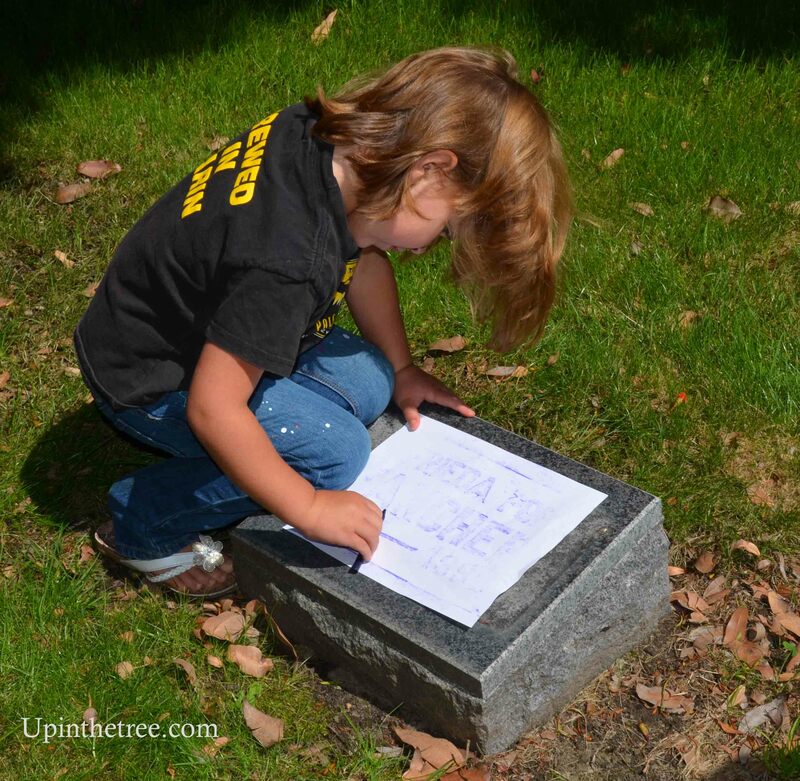 Last month I took the kids on an adventure to Cypress Lawn Cemetery in Colma, California. This is the cemetery where many of my husband’s Pope ancestors are buried. There are many people buried in the family grave so I will present a couple of them to you at a time. 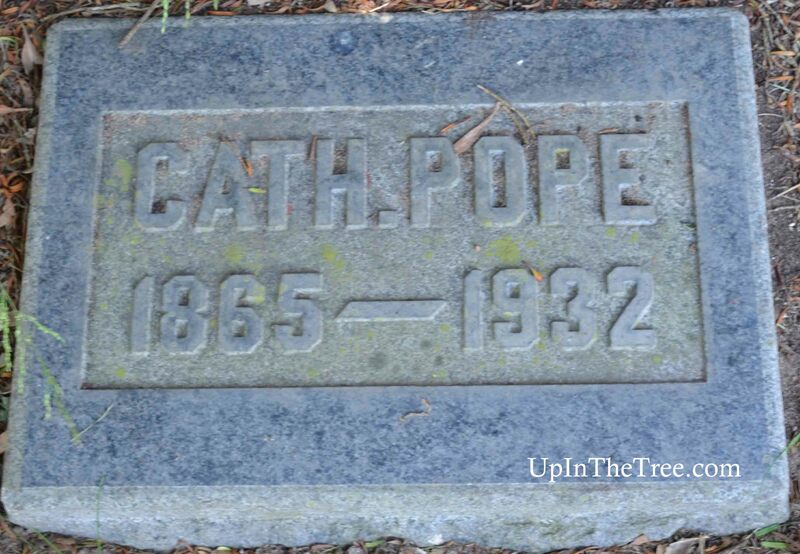 This week is the head of the family, John and Catherine Pope. 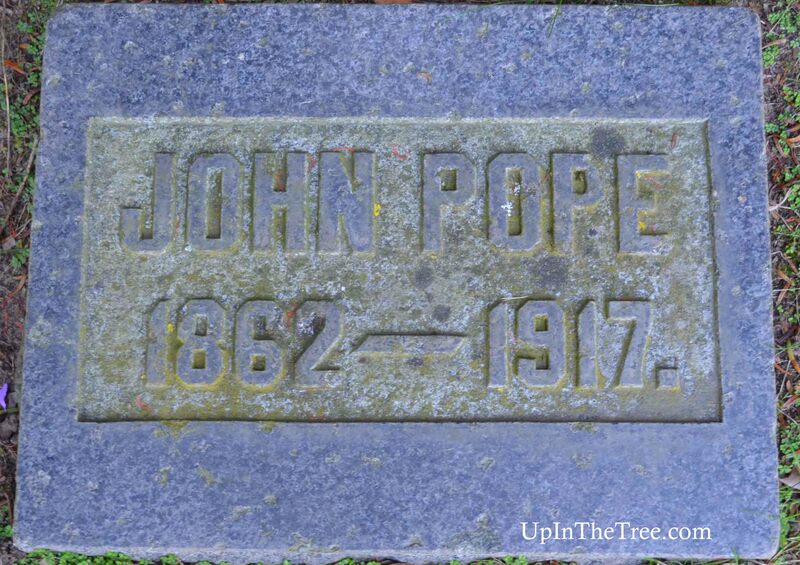 John Pope is the family patriarch. 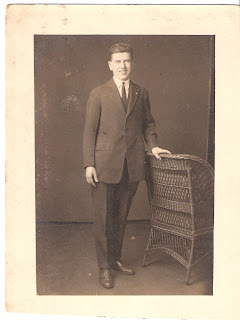 He immigrated to the United States from Germany in the late 1800’s. He married Catherine Offerman after arriving in San Francisco. They had 4 children together. John was the president of Northstar Brewing Company in San Francisco. He is my husband’s great-great-grandfather. Catherine Offerman was also born in Germany. 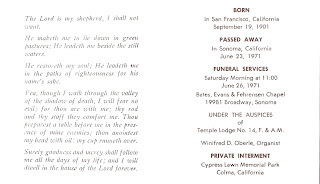 She is listed as the beloved wife of John Pope in her obituary. Catherine died a horrible death after the house caught on fire while cleaning the floor with gasoline. 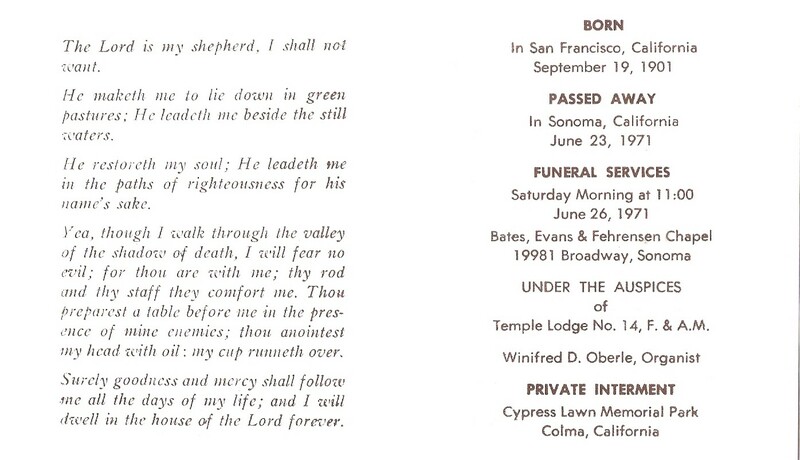 Her obituary lists many women and german groups that she belonged to. Catherine is my husband’s great-great-grandmother. My older daughter attends preschool three days a week. Tuesday is a non-school day so we were looking for something to do. In an attempt to avoid some house work, I suggested we go on a genealogy adventure to Colma. San Francisco does not have any cemeteries inside the city limits. 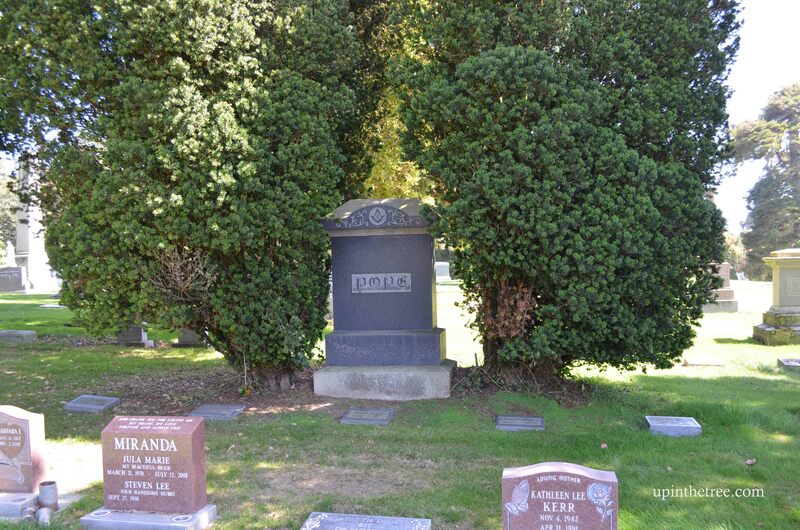 Most people who live in San Francisco are buried just south of the city in the town of Colma. 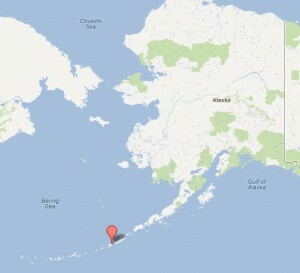 My husband’s side has many family members buried in three of the cemeteries there. I was immediately bombarded with “why” questions from my daughter. It was the first time in many months that I was excited to answer several hundred why questions. We talked about why there are cemeteries, who is in them, the gravestones, and how each of the people are related to us. We kept is fun. J did a bunch of rubbings at one cemetery. She picked the little weed flowers at another to make a tiny bouquet for our gravestone. We used each gravestone as a letters quiz. (Can you find an E?) J also acted as my photo shoot director. At the Pope family plot, she would ask who was at each headstone and then tell me we needed a picture of them. My little one is only a year old. M had fun on our adventure too. She wanted to touch each gravestone we passed. I was cracking up because it looked like she was playing Duck, Duck, Goose. Anything outdoors makes her happy. It was a great day! 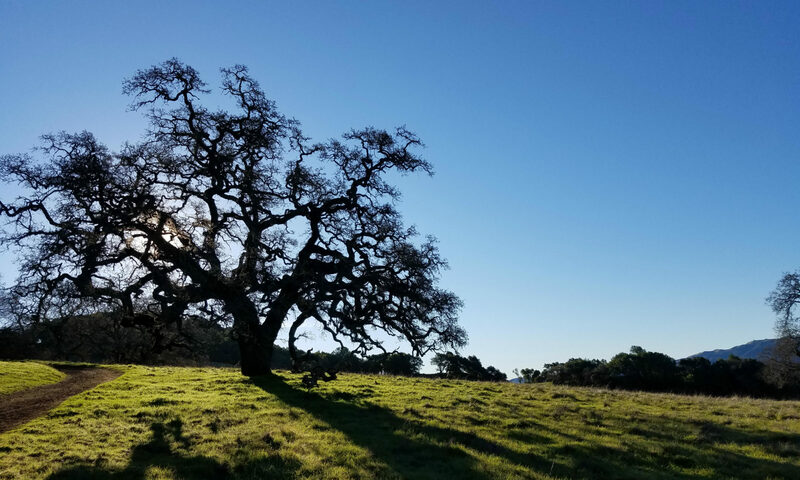 I taught my kids some family history, photographed some headstones that I was missing in my collection, and enjoyed a beautiful day outside. I still had to clean my house but I did it with a smile thinking about the day. 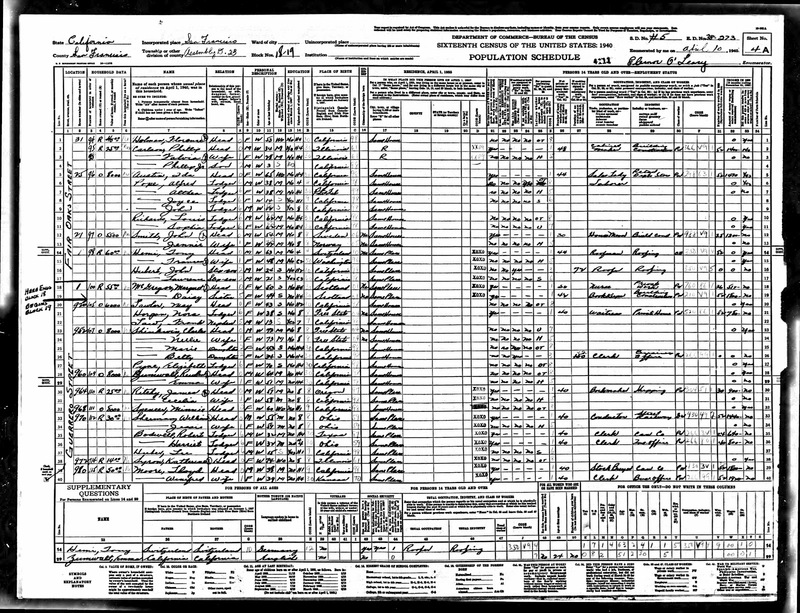 The biggest news in genealogy this week was the release of the 1940 Federal Census on Monday, April 2nd. The week started off with a few bumps but has largely been a success for me. One of the positives about living on the west coast is that when I woke up on Monday, news was already spreading about the insane number of people trying to access archives.org. I decided to wait until Tuesday to take a peek at my ancestors. This plan was somehow communicated to ancestry.com and they loaded the states I needed first (Haha – they did a great job getting all 3.8 million images loaded). 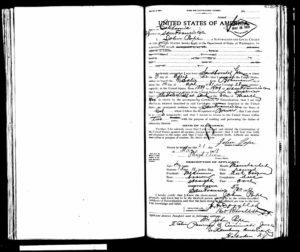 I am extremely happy to say that I have found 7 out of 8 grandparents (I was looking for my husband’s grandparents too.) The only one missing is a grandparent that lived in Chicago at the time. I do not have an address for her and Chicago is way to large to just scroll through the images. 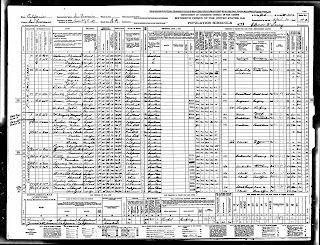 I plan on using the Census Sunday theme to share my finds in the 1940 Federal Census. I will start this week with the Ida Austin household in San Francisco, California. Ida Austin is my husband’s great-great-grandmother. She lived at 25 Fair Oaks Street, San Francisco, California. 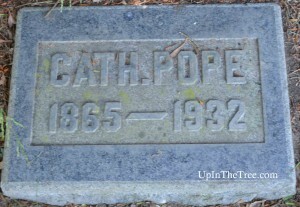 Also listed in the household (in order) is Alfred Pope, Althea Pope, Joyce Pope, John Pope, Louis Richards, and Sophia Richards. I laughed out loud when I read that all of the people listed had a relationship as lodger. All of the other families on the sheet have more conventional relationships listed such as wife, daughter, step-son. Althea is Ida’s daughter. She is living with her husband and two children in her mother’s home. Sophia is Ida’s sister and Louis is Sophia’s husband. 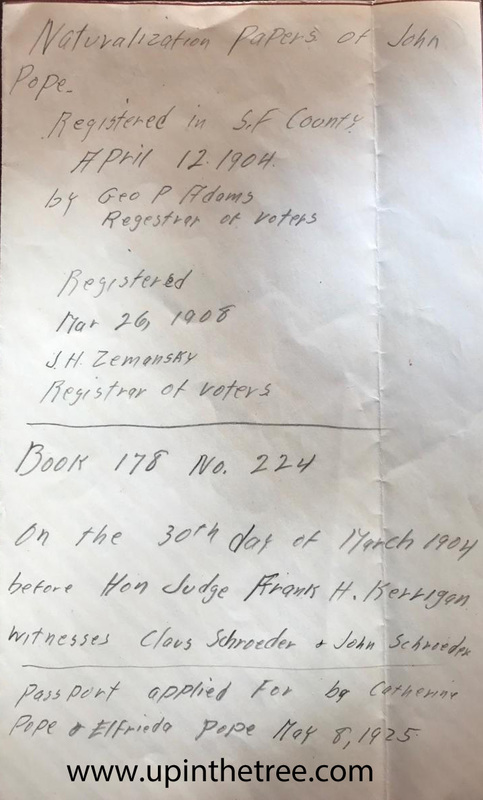 I would love to peek into the past to see who answered the questions of the enumerator. No one in the household is marked with the X in a circle. It is possible that one of the neighbors answered the questions for this family. Since everyone in the household is listed as living in the same house in 1935, they obviously have been living as an extended family for some time. Ida Austin owned her home and it was valued at $8000. She made $1470 the previous year and appears to be the only person in the household working. This is pretty amazing since her age is listed as 65 in 1940. 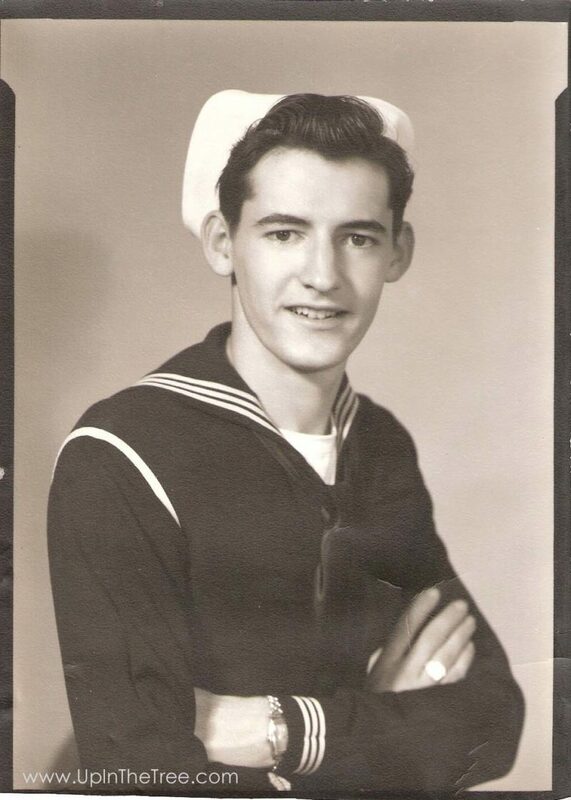 Grandpa John tells me that his grandmother worked at Columbia Outfitting Company. Alfred is listed as a laborer but he did not have any income. The education column is also interesting to me. 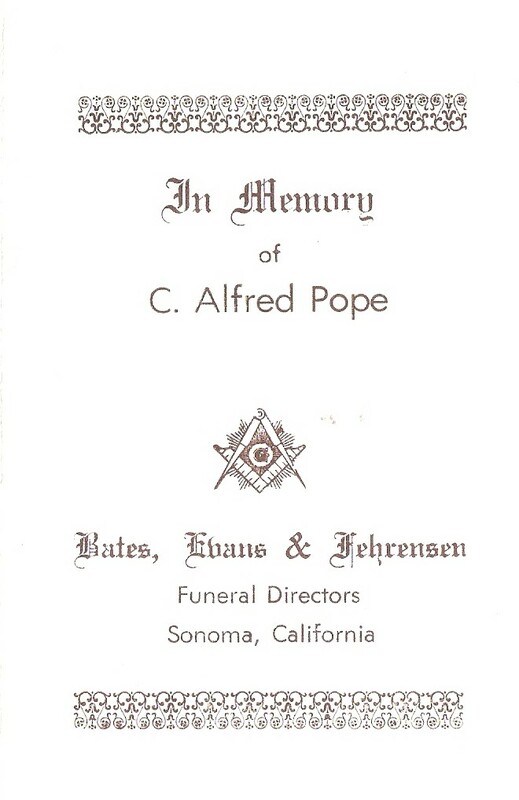 Alfred Pope is listed as having only 4 years of education. When I asked Grandpa John about that, he told me that his father took classes at UC Berkeley. 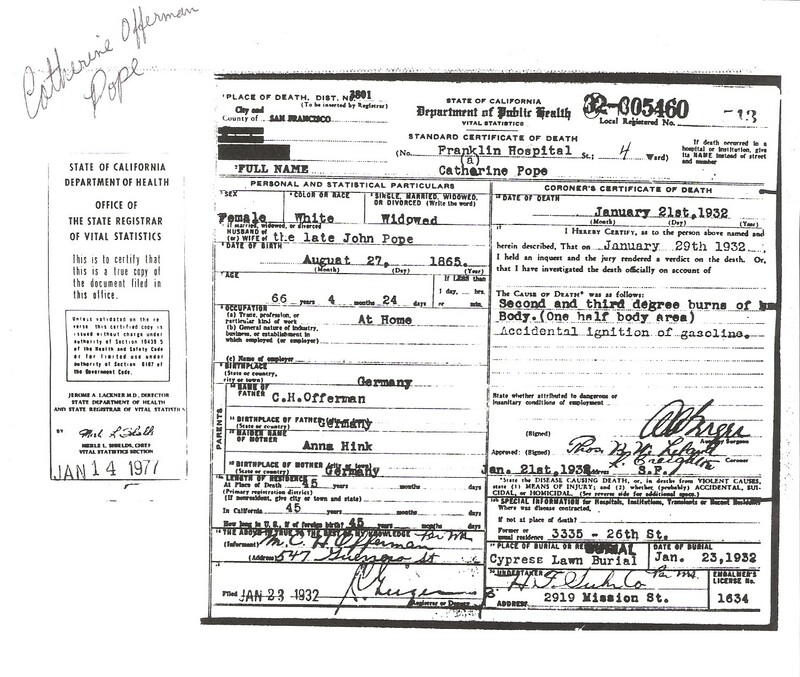 This might be another indication that a neighbor answered the questions about the family. Catherine Offerman in my husband’s 2nd great grandmother. She was born in Germany in 1865. 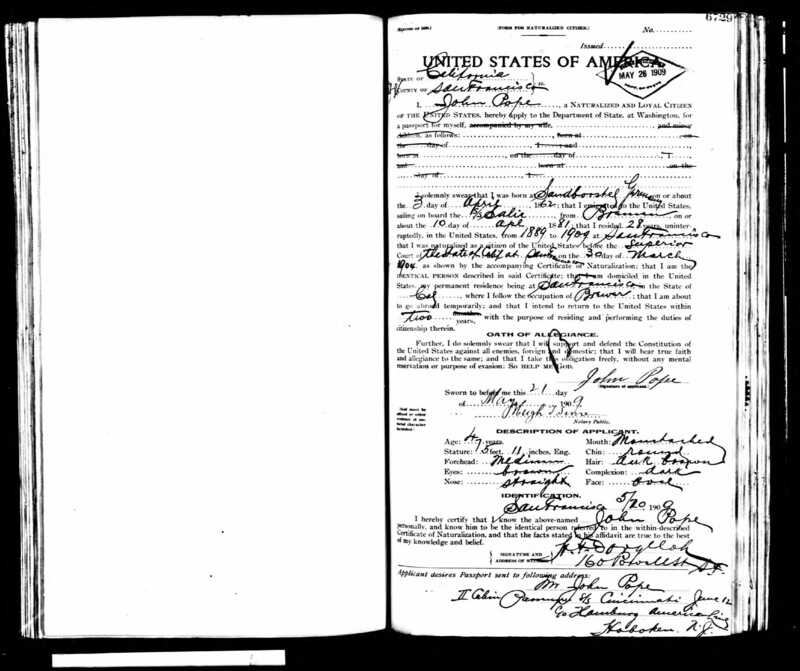 She immigrated to the United States in 1887 or 1888 with her husband, John Pope. They lived at 3335 26th Street in San Francisco. Catherine died a horrible death. She received 2nd and 3rd degree burns on her body after gas on the floor of her home caught fire. I am told by my husband’s grandfather, who was 5 at the time of the accident, that Catherine was cleaning the floor with the gasoline. The house burned down and was rebuilt. 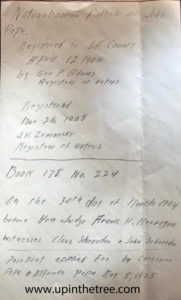 I scanned the copy of the death certificate (below) from the genealogy stash at my husband’s grandfather’s house. I plan on visiting the San Francisco Library to see if there were any articles written in the newspaper about the fire. Hopefully, I will be able to add more to this story at a later date. Left: in 1989. 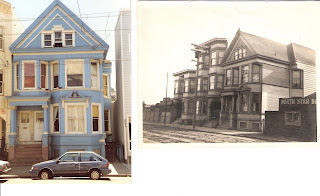 Right:early 1900’s before burning down. 17. Cause of Death: Second and third degree burns of body. (One half body area) Accidental ignition of gasoline. 18. Special Information, Former Residence: 3335 26th St.
Claus Alfred Pope died at Sonoma Valley Hospital on 23 June 1971. 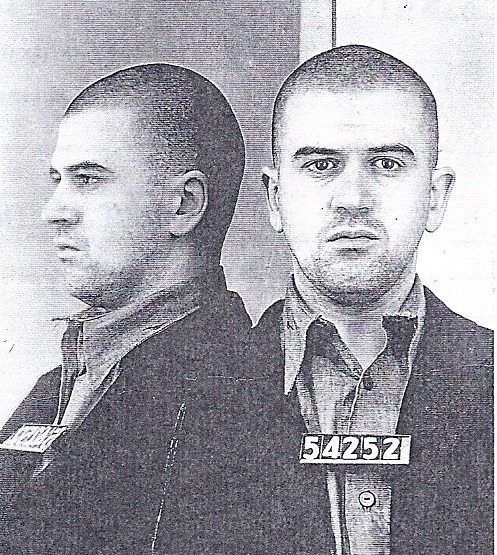 He had been sick with heart problems for the two weeks leading up to his death. He was born 19 September 1901 in San Francisco, California to John Pope and Catherine Offerman. 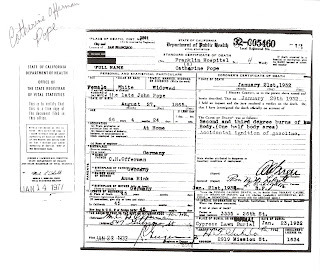 He was survived by his wife, Althea (Austin) Pope, son, John A. Pope, daughter, Joyce (Pope) Hunter, and sister, Elfrieda (Pope) Fancher.